With the onset of October, I start the annual cookie/candy production for our Christmas open house. Sunday afternoon, I made Date Balls (thanks again, Mellanie, for this great recipe!). These are one of my favorite holiday treats. And they freeze beautifully, even with the powdered sugar on them. 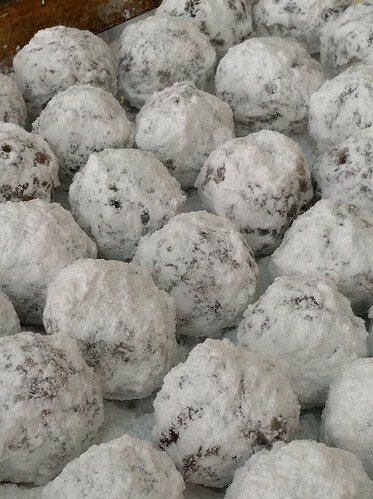 This week, I’ll make another batch of Date Balls and some shortbread treats made into my own specialty I call Elfin Bites. 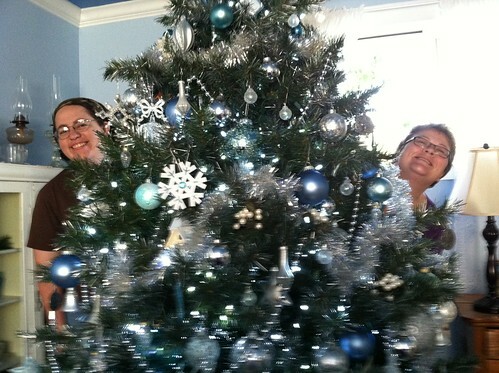 A little tinsel and that tree will be complete. In the meantime, here’s the menu for this week. You’ll find more menu and recipe ideas at Menu Plan Monday. This entry was written by ~~Rhonda, posted on October 3, 2011 at 3:49 pm, filed under menu. Bookmark the permalink. Follow any comments here with the RSS feed for this post. Post a comment or leave a trackback: Trackback URL.